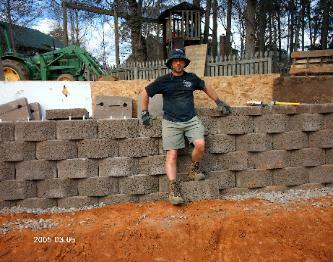 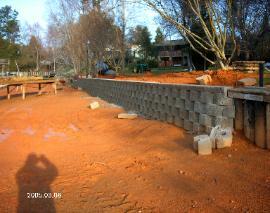 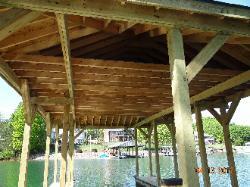 carpenter on site, to insure you will always get the best quality work you deserve. 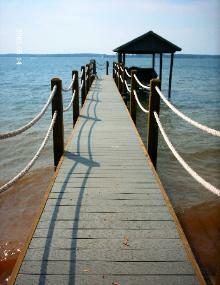 Feel free to ask me any questions at any time. 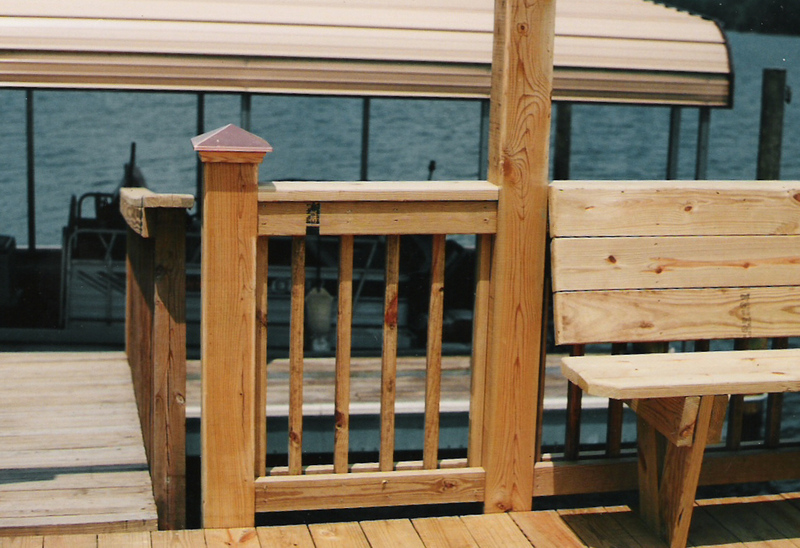 ALL CUSTOM WORK IS NOT EQUAL. 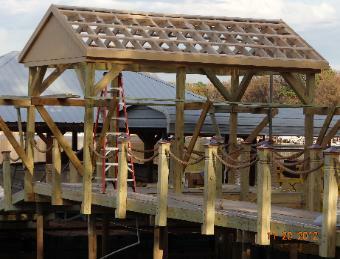 driving gazebos boardwalks sea walls. 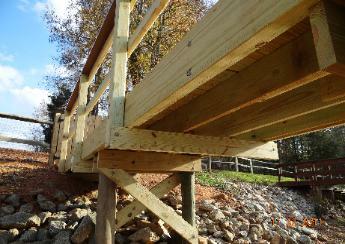 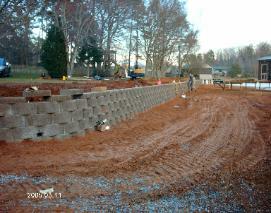 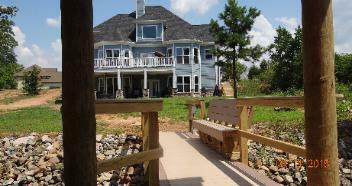 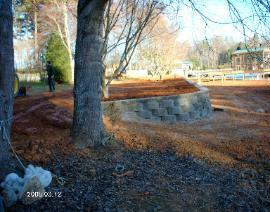 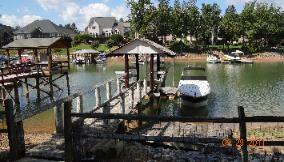 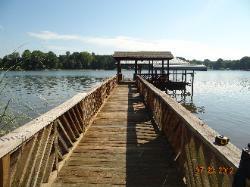 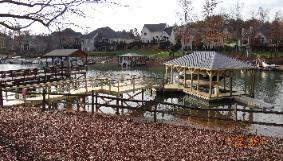 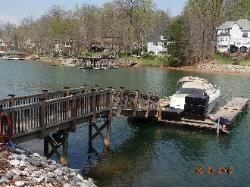 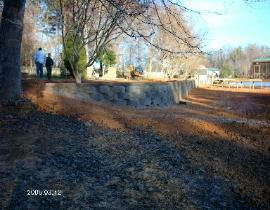 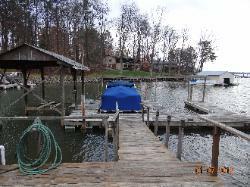 All custom Work Isn't Created Equal featured listings Lake Norman dock, pier builder, Boat lifts, LKN . 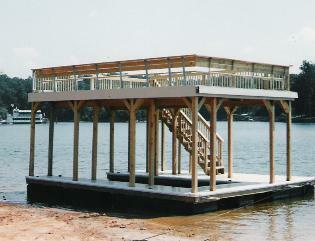 U.S., and Tide Tamer so I can handle all of your boat lift needs from cable , floating, and PWC lifts. 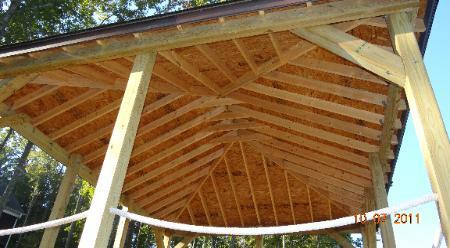 ridged for many years to come. 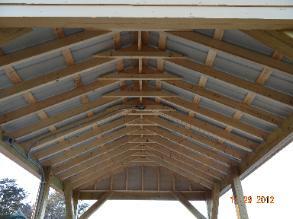 Hip roof with shingle siding. 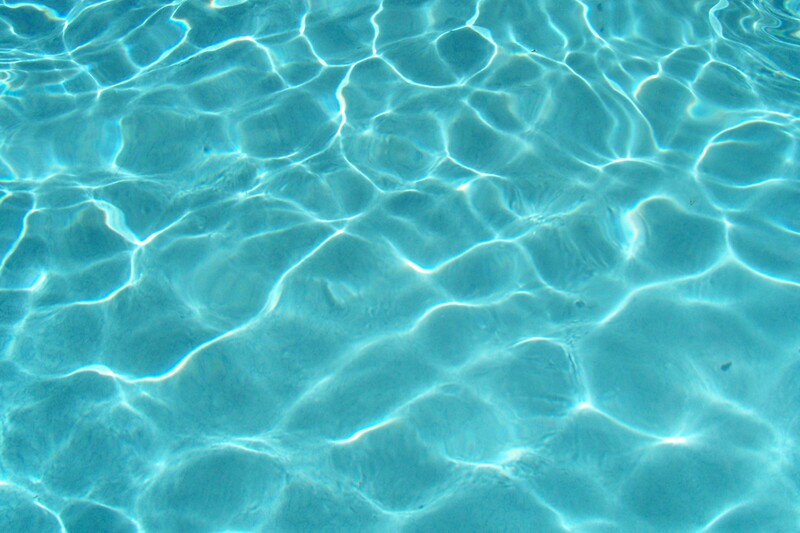 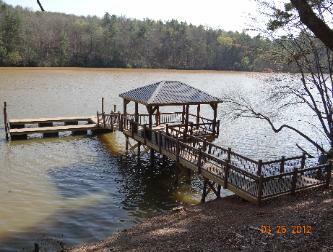 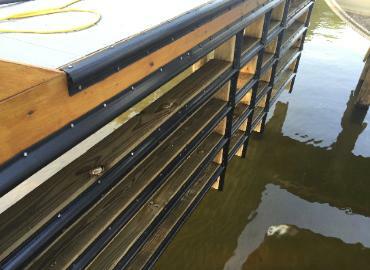 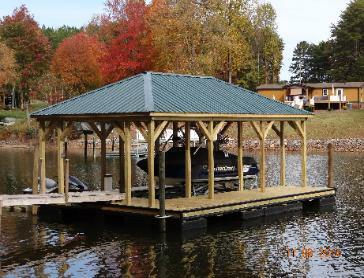 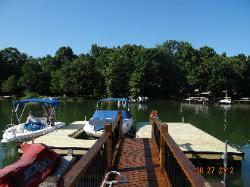 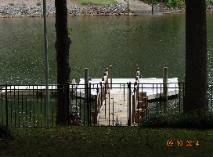 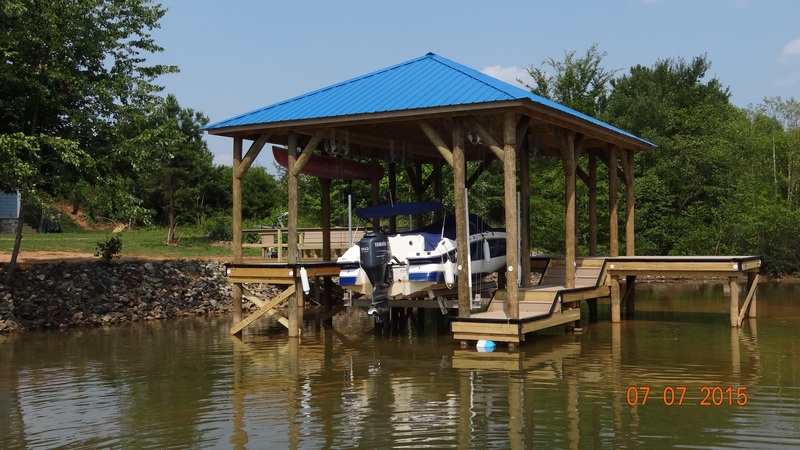 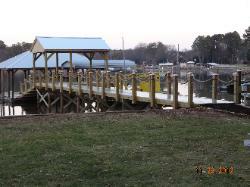 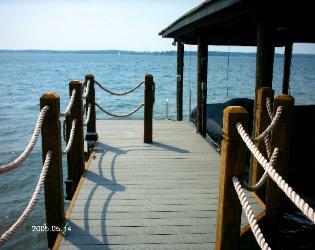 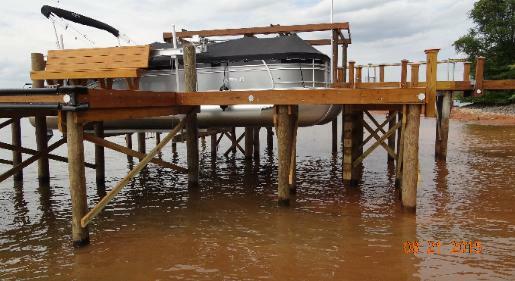 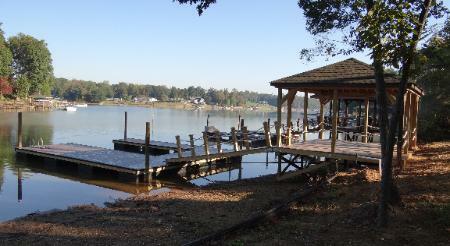 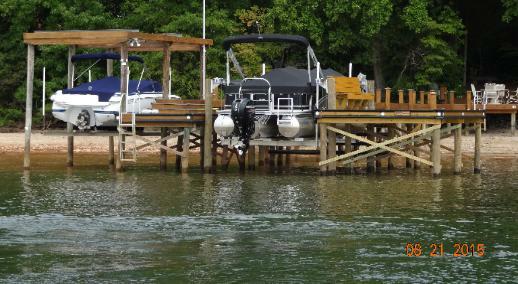 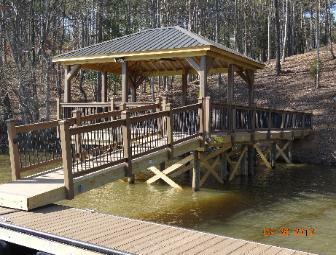 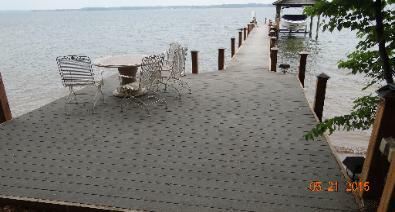 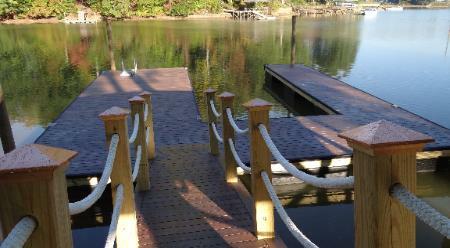 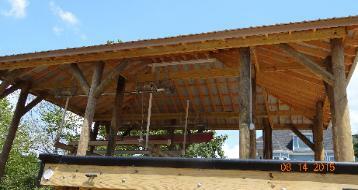 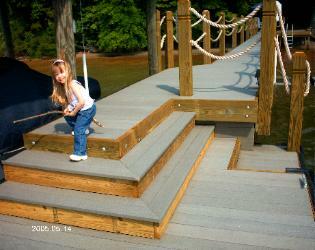 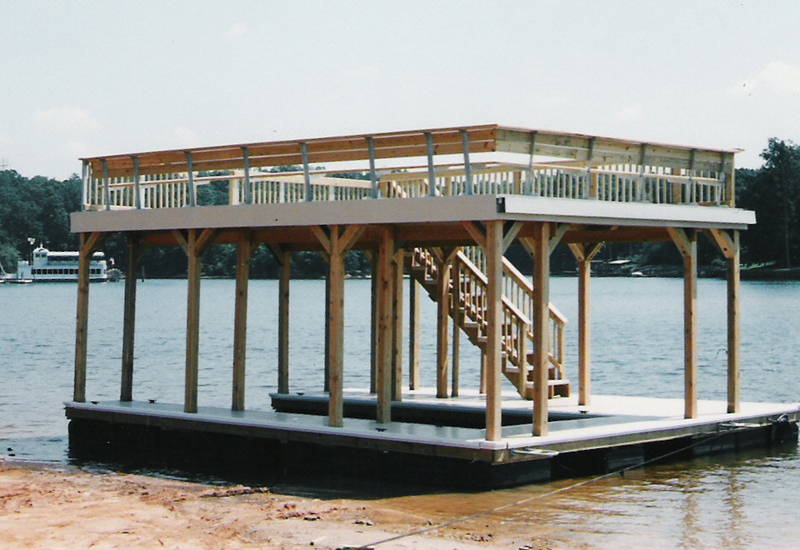 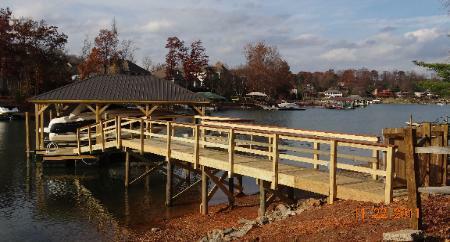 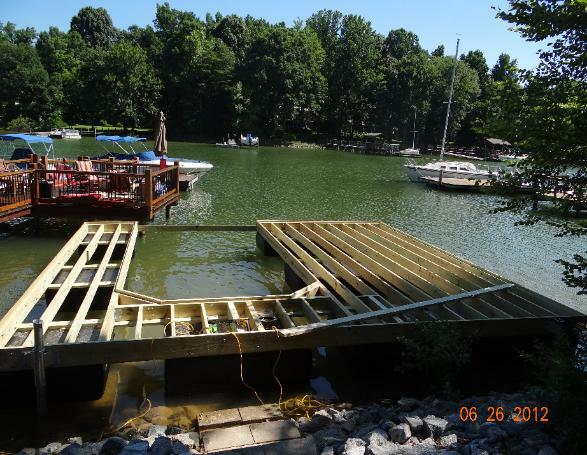 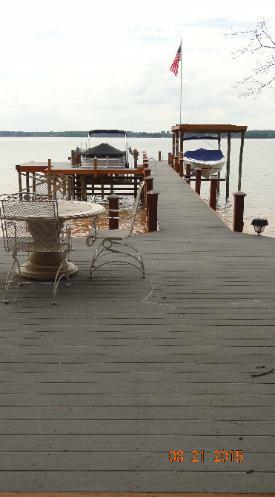 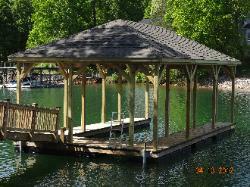 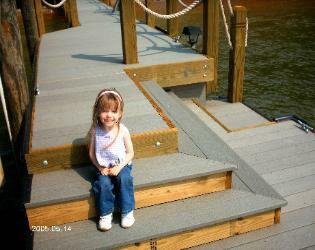 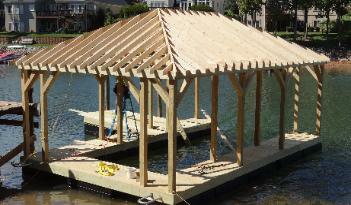 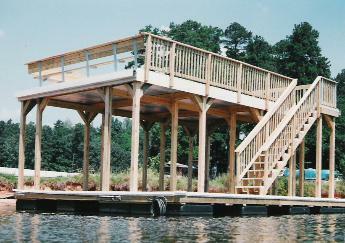 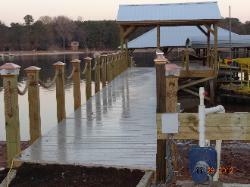 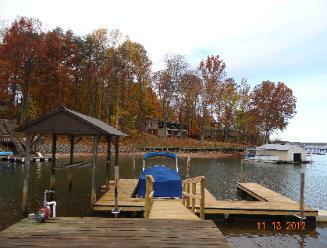 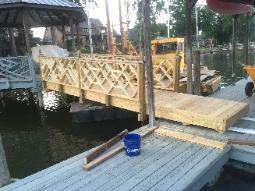 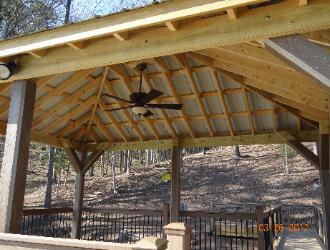 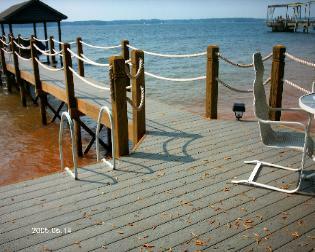 We will go to any length to customize your pier and boat dock to your desire. 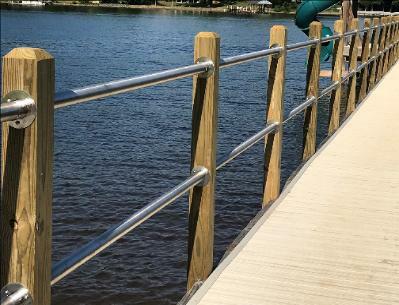 Below are two examples of double rope handrails, one with and the other without brass top caps. 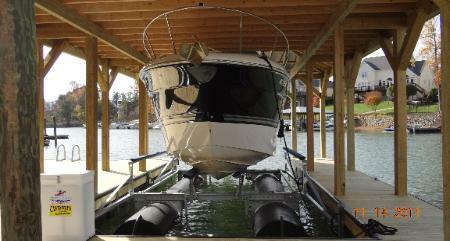 boat from being damaged by going under the dock frame. 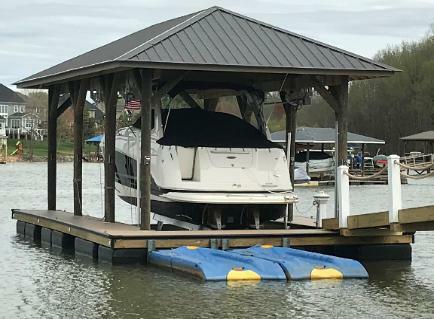 from constant banging next to a fixed dock.